Remember that No Sugar Added Vegan Pumpkin Pie Pudding I made the other day? 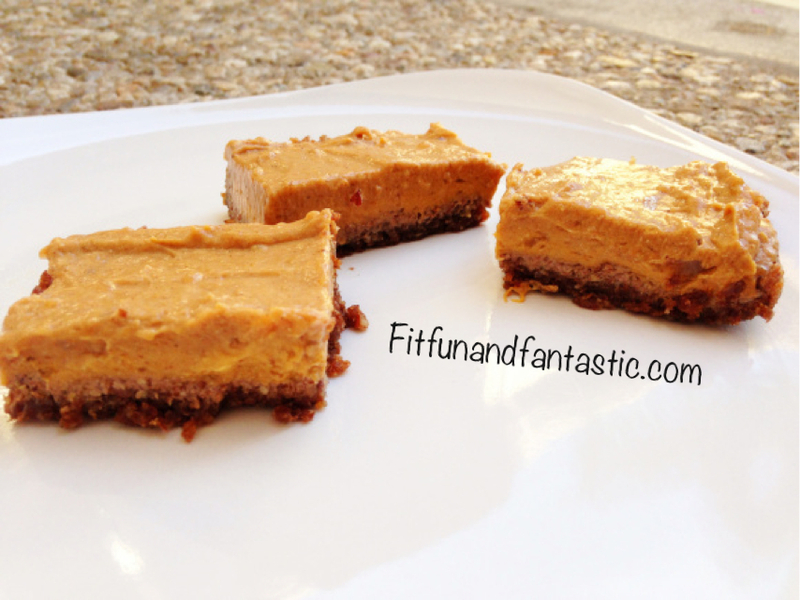 Well it was sooo delicious that I decided to turn that into Pumpkin Pie Bars!!!! This seriously turned out sooo yummy! I felt like I was having something sinful! Blend all ingredients together EXCEPT the xanthan gum until smooth and creamy! Reserve 1 cup of the pudding for the pie bars, enjoy the rest on toast, with apples or just with a spoon! Mix the 1 cup reserved pudding with ½ tsp xanthan gum (to thicken). Blend all crust ingredients in a food processor until it forms somewhat of a paste or crumble. Press the crust into the bottom of an 8x8 pan covered with parchment paper. Top the crust with the 1 cup reserved pumpkin pie pudding and refrigerate overnight until firm. 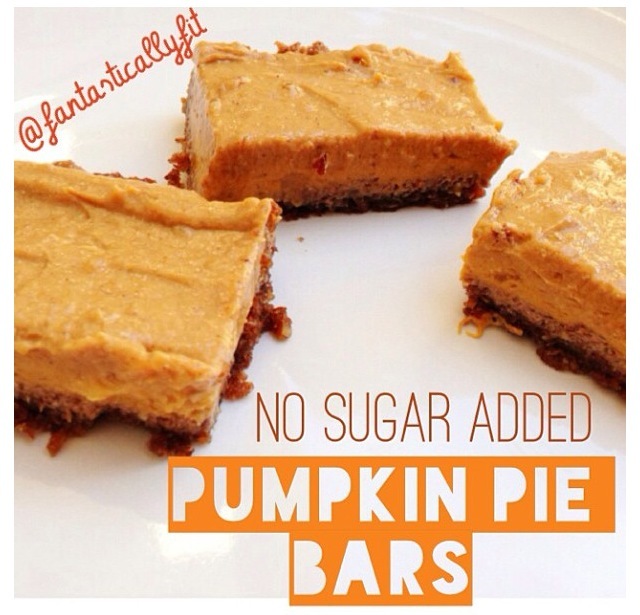 0 Responses to "No Sugar Added Vegan Pumpkin Pie Bars"
You can use greek yogurt instead! This looks great! Just in time for Autumn. Thanks! Awesome I hope you enjoy! Any idea what I could do instead of the nuts in the crust? Haha superrr allergic! Sounds yummy, where can I get xanthum gum and is there a substitute? You can get it at any market in the baking section. It is a thickening agent. you could also use guar gum. Hi! I have never made it with Greek yogurt so it may change the flavor and texture. It will probably be less creamy.